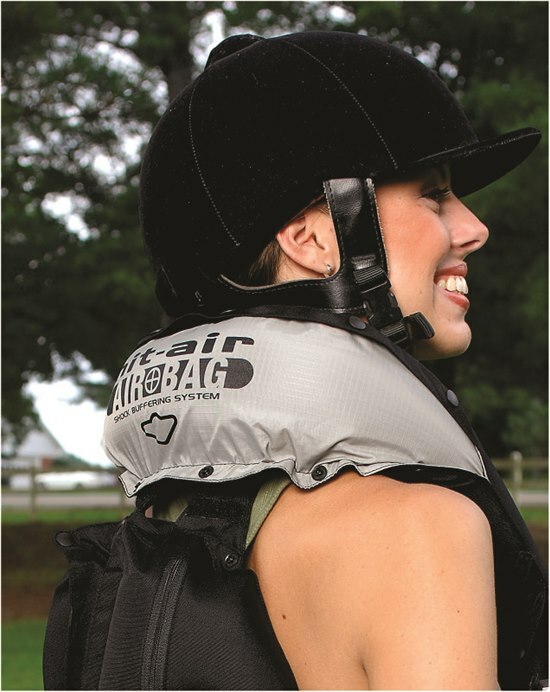 WHY SHOULD YOU WEAR AN AIRBAG VEST? To avoid medical bills and missing work. 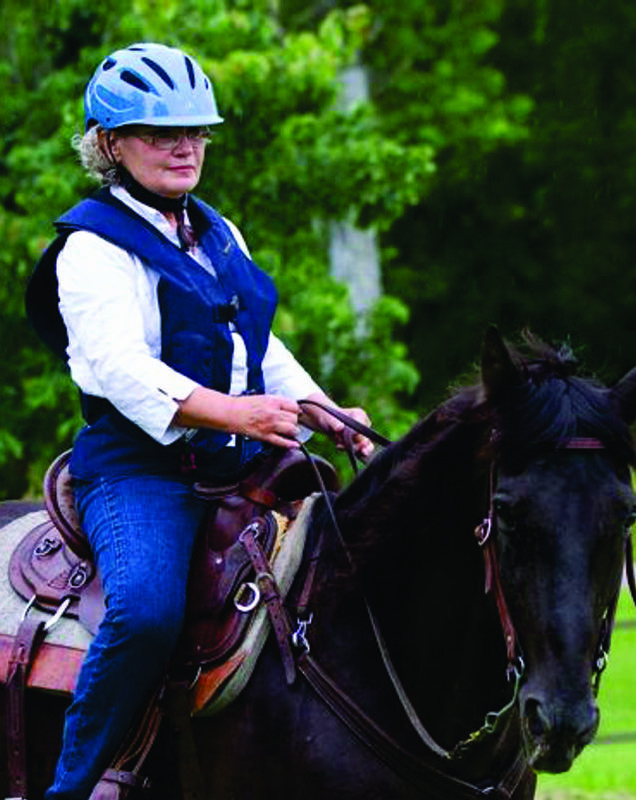 Safety when training young horses. 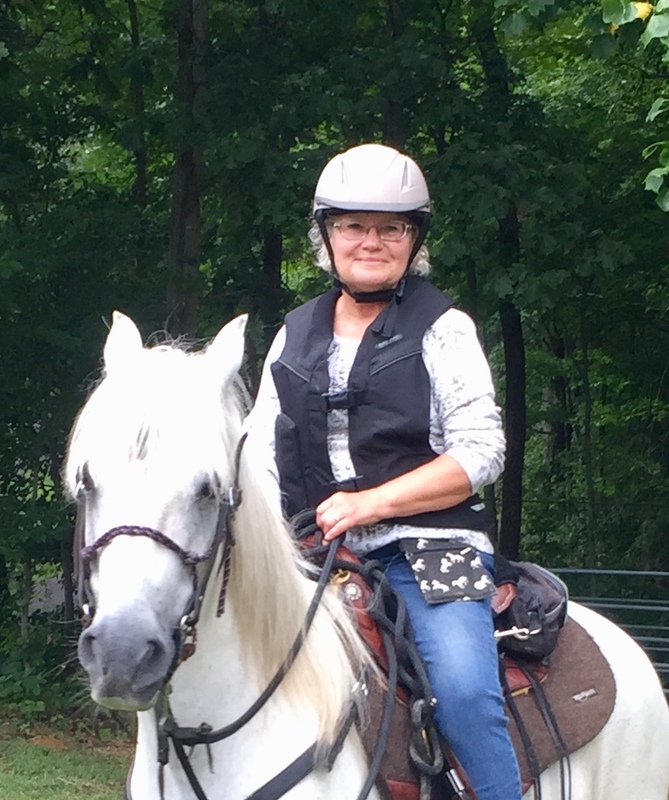 Confidence for baby boomer riders. We bounce like a fresh egg. Regain confidence after a fall. To give you and your loved ones peace of mind. Safety when riding alone thus enjoying the feelings of freedom rather than worriyng yourself and loved ones. Reduce your anxiety which in turn makes you safer by not transmitting this anxiety to your horse. I personnally have experienced falling and breaking my pelvis before owning a vest, and falling after owning my first Advantage vest about 7 years ago. This time, I bounced and skidded, got up, re-loaded my vest and continued down the trail. We trust our horse to take care of us, but we know in the back of our mind that "things happen". There is a saying, "If you ride, you will eventually fall". Falling off a horse is often unexpected and painful. Falling can be expensive and career ending. Falling causes loss of confidence. Wearing safety equipment lessens the risk of injury or worse. Helmets and air-bag vests protect the most vulnerable areas of our bodies. In this day and age of innovative technology, air-bag vests have given us more control over the end result of an unexpected and uncontrolled situation. An air-bag vest is relatively cheap insurance to help mitigate the risk of serious injury - the difference between bouncing and breaking. Advantage Model, front and back. Stylish. Neck Airbag Deployed. The largest on the market.